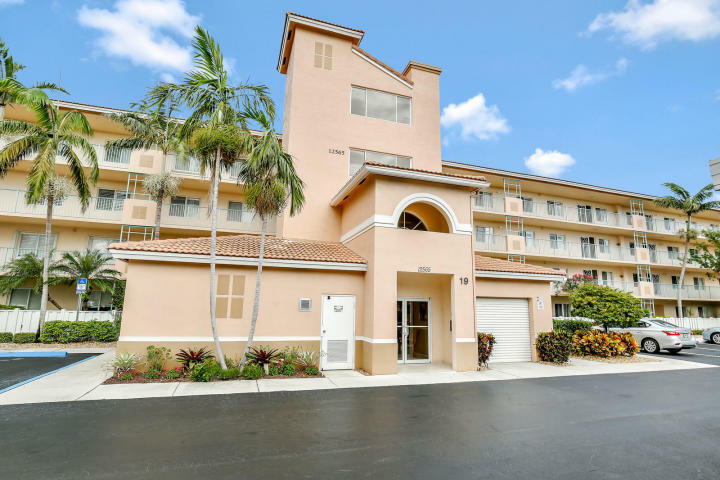 FULLY RENOVATED 3 bed, 2 bath Lake Front penthouse condo in beautiful Coral Lakes! BRAND NEW kitchen includes gorgeous wooden cabinetry with GRANITE Countertops, designer subway tile backsplash + STAINLESS STEEL gallery appliances! VERY spacious and wide open floor plan great for entertaining! Huge master bed/bath including dual sinks, separate shower & Roman tub! This West facing Penthouse unit means plenty of natural light! Direct lake views make for the perfect sunsets!! THIS CONDO HAS IT ALL! Coral Lakes is a fabulous, gated 55+ community with state-of-the-art clubhouse, resort-style swimming pools, fitness facilities, tennis academy, theater, game rooms and more!! Close to great restaurants and shops. Best of all, No Membership Fee!! Dont miss this opportunity!! WONT LAST! !